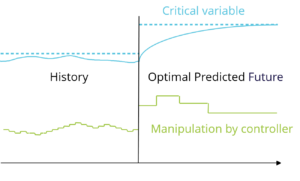 Cybernetica delivers Nonlinear Model Predictive Control (NMPC) applications based on mechanistic models. These applications provide better profitability, more stable product quality and safer operation than other technologies, particularly for processes that are demanding to control. Processes that are highly nonlinear, requiring nonlinear models. Processes where important variables to be controlled cannot be measured on-line but have to be estimated. Processes with uncertain and time varying parameters, requiring on-line parameter estimation. 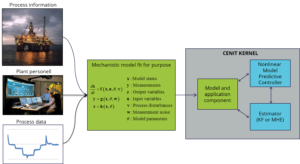 The models used in CENIT are developed specifically for nonlinear model predictive control. Even though the model captures nonlinear dynamics of the process, there will always be uncertainty in a mathematical process model. The mechanistic structure of the models allows for very efficient compensation of this deviation in CENIT’s estimator algorithms. The combination of mechanistic models with on-line model adaption are crucial elements in the successful application of NMPC technology. 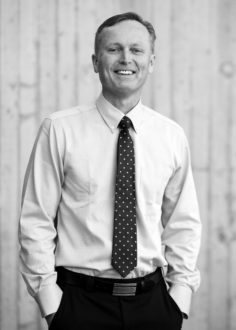 Our approach allows for development of process models using data from regular operation in order to minimize impact on production. Cybernetia CENIT will control your plant in an optimal way, and you can benefit from improved productivity, improved consistency of product quality, reduced emissions, reduced energy consumption, and improved safety. Models can be coded directly in the C programming language. Models can be developed in Modelica or other modelling tool that supports the Functional Mockup Interface (FMI) standard. ODE/DAE solvers with sensitivity integration are supported. Internal fail checking in CENIT. CENIT monitors the health of all measurements and can handle faults in instrumentation by taking automatic protective action or alarming the operator. Diagnostic information is provided to the DCS and to the operators. Development of the Cybernetica Model and Application Component is a critical activity in every CENIT implementation project. Cybernetica has several tools to aid the control engineer and to facilitate efficient workflow for developement and maintenance of CENIT installations. 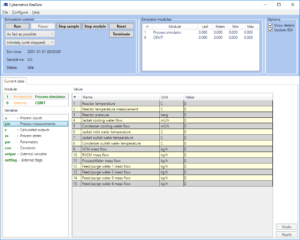 Design and tuning of on-line estimators in CENIT applications. 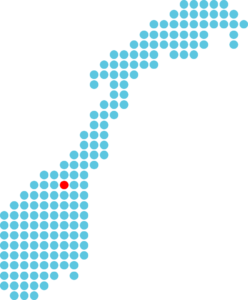 Estimation of constant or time varying model parameters. Simultaneous use of multiple data sets. 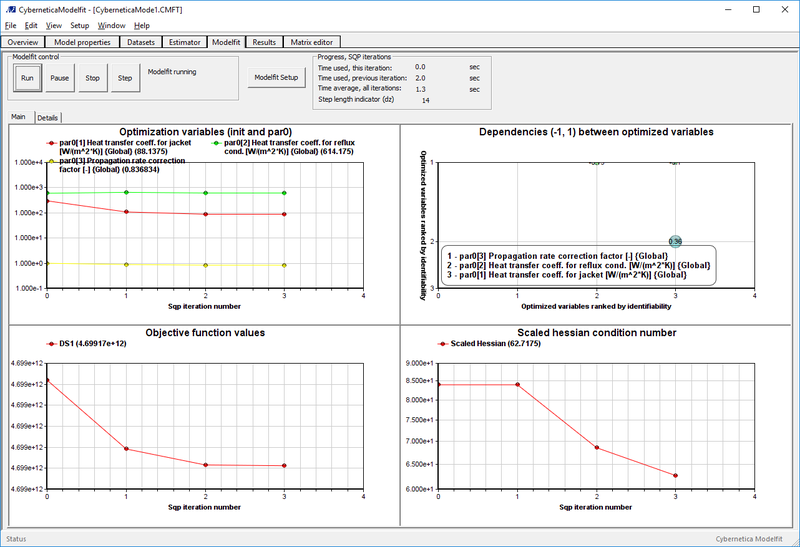 Cybernetica ModelFit is flexible with respect to configuration of the parameter estimation. Parameters can be time varying or constant. Multiple data sets from different operating conditions may be used to find the best parameter fit taken all data sets into account. 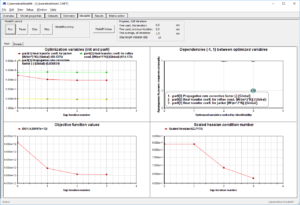 Cybernetica RealSim is a plant replacement process simulator used for testing of CENIT or other control applications. It communicates over the OPC protocol in order to replicate the interface to the DCS at the plant as closely as possible. It interfaces to Cybernetica Model and Application Components. 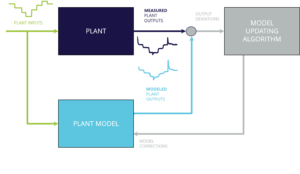 The plant replacement model might be the same as the model used in CENIT or it might be a different one in order to evaluate how the controller responds to model uncertainty and unknown process disturbances. 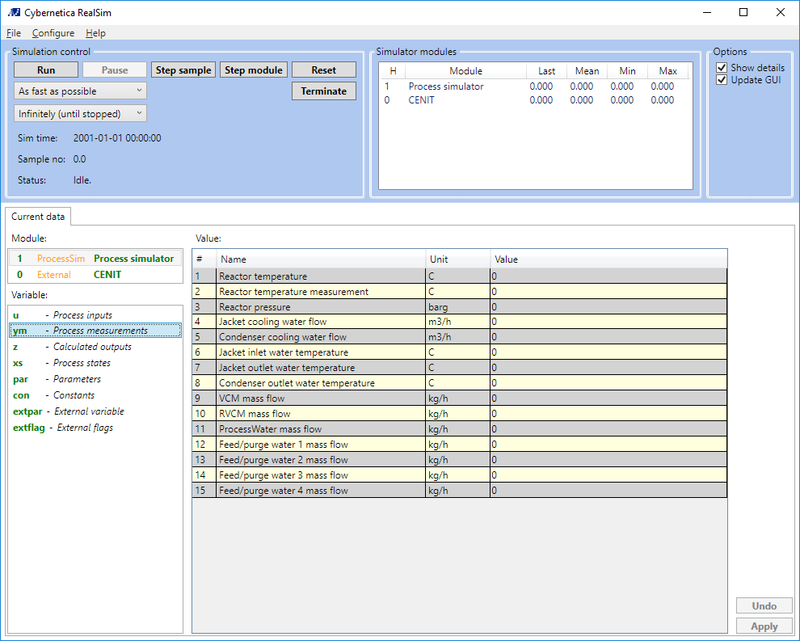 Cybernetica RealSim is typically used during application development and for factory acceptance tests (FAT).